Now the preparations begin. Where to start? Call Pittsburgh Wedding Chapel. 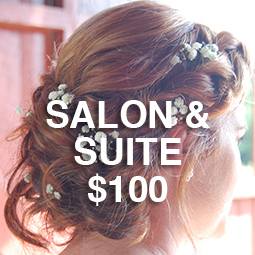 Your wedding day should be a wonderful experience, let us handle the details and eliminate your stress. 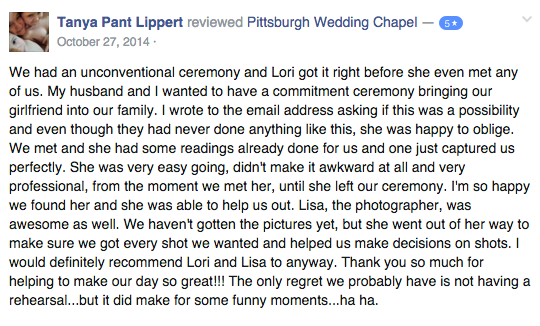 Whether it’s a small intimate wedding, a commitment ceremony, or a personalized wedding of your dreams, Pittsburgh Wedding Chapel will work with you to create a beautiful and meaningful ceremony at the location of your choice! 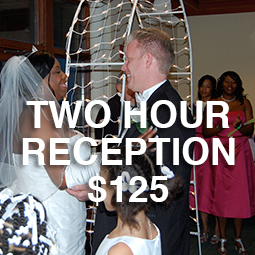 Call Pittsburgh Wedding Chapel today to schedule your personal consultation. We look forward to celebrating your very special day with you and we will be sure it is The Perfect 'I Do' for You. 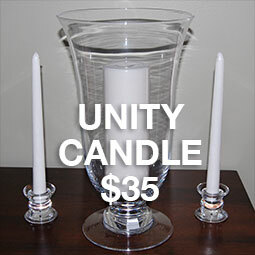 PWC can provide you with ceremony outlines and we will work with you to develop a personalized ceremony. We are here to celebrate your love and commitment. 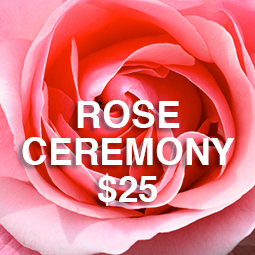 PWC believes that everyone, regardless of their religious beliefs, sexual orientation, age, or background, deserves to have a beautiful ceremony. 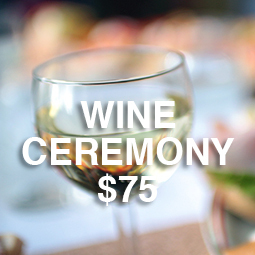 Themed Ceremonies - We encourage creativity! 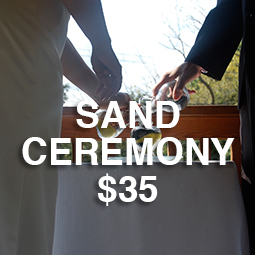 A $50.00 non-refundable deposit is required on all ceremonies and is to be paid upon signing the agreement. The balance is due two weeks before the ceremony. 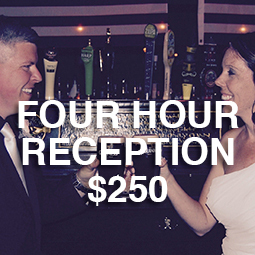 A $35 charge may be added if the final payment is made less than two weeks prior to your ceremony. 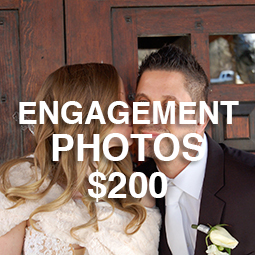 Capture the memories of your beautiful day at the fraction of the price. 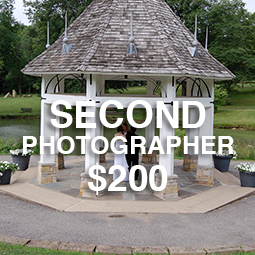 Customize your photo package to include the pictures you want to treasure. Call for more details and availability. We would love to hear from you. Get a quote or ask a question, just submit the form and we will be in touch.